How can I register to become part of the ninja release? You need to register for the forums. You can click the /talkforums link at the top. wow! i cant w8 for this. Hopefully “Tony”‘s Costume Firmware will be out soon. I already HAVE a Vita. I won’t have to go buy a new device. So I have SC3/VHBL, if I update to 1.80 will I lose it? lol, really want to play Twisted Metal 2 on my Vita. I thought so. :/ what to do what to do…. I guess I’m gonna risk it, and hope to get the next VHBL. Gonna miss Wagic and the NES. so give a fast answer!! do u gonne release it before school time begins or later!!! plz we need to know it tell us plz. i dont wanne mis it again!!! i dont want a answer like : Do as everybody and follow the site! i need fast and Good answer !!! like every body here. every body here know’s that u and ur team awesome is!!! plz i dont wanne mis it again !!! we are waiting sooo long!! oke good bye 🙂 !!!! Again, I think this release is only for dropouts. You school types don’t deserve it. well can u give us some more information? ok good bye 🙂 ! I’m actually laughing at you now. You realize that asking them over and over again will NOT change the release date/time and that they can NOT tell you if it will be out before or after school starts. yea dude, you need to read the forum rules before you get banned. asking over and over again will only keep you from being apart of the ninja release. I know the game name 🙂 I got it two days ago..
Can you pass on any info? don’t understand me wrong but really how you get it? You need to reread the part of not talking publicly about it. Well it made sense to me (if close to ready) it would have been released this weekend as we all know the $ony trolls aren’t all working on the weekend and less on stat at taking things down. Of course, if not the case on being ready, I still think we should wait until a “saturday or sunday” release. Soo when is it coming out? wow all these damn people keep asking when its released just wait damn it i hope wololo looks at everyone that keeps asking and then denies them access to the ninja release be glad you guys even have something to look forward to. What kind of studies i need to do, to become a coder? Is it hard? I think is very exiting, o well, thank for all your work, i want to learn to be helpfull to the community. All I want to know is if, like Frank said, we could get the post emailed to us. Thanks Wololo I for one appreciate all that you’ve done for us! Thank you wololo and take as much time as you need. Hello, i just wanna know when the will be full jailbreak for ps vita. Arrrrg. Only been a forum member for 2 months so i know i have some waiting to do. Cant take it!! Lol. Thnx btw to everyone for making this happen. Ok guys, you know the drill! 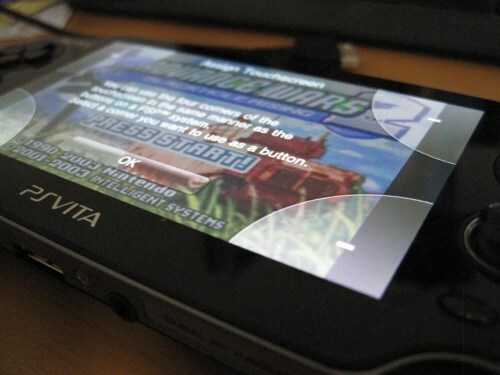 On this page I reveal the name of the PSP game used by Neur0n to run HBL on the Vita. Due to the many securities on the Vita, We are now doing “ninja releases”, so please bear with me, and read this. You are one of the very few people who can see the contents of this page. This is because I trust you to not make this information public, and keep it to yourself, until I let you know it’s not a secret anymore. If this information is not kept a secret, Sony will remove the game from the store, and we will lose the exploit, so I’m hoping I can trust you here. In a few days/weeks you will see a download link for HBL itself on this same page. I am not distributing HBL now because Sony monitors the crashes that come from the PS Vita, and if you were to use HBL extensively now, Sony could see what game is being involved, and you would unintentionally leak the exploit to Sony. 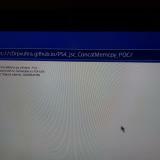 By releasing the exploit this way, I’m trying to make sure that at least the people I trust have a few days to get access to the game, and then even if Sony patches it later on you should be able to use the exploit. Availability: The game is Available in most stores as far as I know. If you know a store where it cannot be found, please let me know. BE SURE to use the SEARCH function of the store before reporting that the game is missing! Not happy with the limitations and/or the price of the game? It might be ok to wait, we potentially have other exploitable games, but we cannot promise anything, the choice is yours. VHBL itself will be released at the same time we make the public announcement, in a few days/weeks. Thanks for your trust, and again let’s keep this a secret so that as many people as possible can benefit this hack. wololo..i can update 169 to 180 normal?…with no fear…i have much games 4 games demo an 2 games free(thanks to the two free 😉 if i have 180 i can run hvbl with no money 😉 ???? Anonymous Did you get this information directly from neuron?